After spending 17 years behind bars, Hyun-Woo (Ji Jin-Hee) is released from prison. During his college days, Hyun-Woo was involved in the student led anti-government protests that swept across Korea in the early 1980’s. Now that he is finally free, Hyun-Woo travels back to the town where he spent a few precious months immediately prior to his arrest. Seventeen years ago, Hyun-Woo fled into the rural areas of Korea, hiding from the government that was trying to quash his anti-government group. He found sanctuary in the home of Han Yoon-Hee (Yum Jung-Ah). She was a former sympathizer to the anti-government cause, but now living a modest life as a teacher in a small rural community. The couple quickly became intimate, Hyun-Woo able to provide the spark that was missing from Han Yoon-Hee’s simple life. 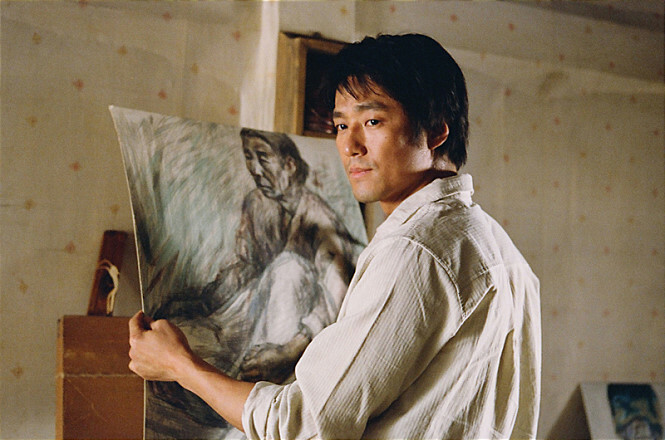 Unfortunately, while Hyun-Woo was still hiding in Han Yoon-Hee’s home, he learned that most of his fellow anti-government protesters were captured & imprisoned. Even though the government now has Hyun-Woo high on their most wanted list, he feels ashamed that he is living peacefully while his friends are imprisoned. Thus, he makes the difficult decision to leave Han Yoon-Hee and go back to the movement centered in Seoul. What he would later learn is that he left behind the sole person that would stay faithful to him throughout his 17 year imprisonment and also the woman that is carrying his baby. Based on novel "Oraedoen Jeongwon" by Hwang Sok-Young (published May 2, 2000 by Changbi Publishers - ISBN: 89-364-3590-6).